Perhaps you’ve heard of the free software being provided by the FDA to help food producers develop an in depth food safety plan, called Food Safety Plan Builder, or FSPB for short. I had been eagerly awaiting its release, which happened in August 2017. This article will share my experience of working with the software – and the FDA when problems arose. To reassure anyone who is concerned, this is entirely downloaded software, none of it is “in the cloud” or stored on some lurking governmental server computer. The FDA has no access to this, unless you send them a copy or they show up to inspect. I had a fairly complete food safety plan in place for our company, Gia’s Cheesorizo and our previous business, Pholia Farm Creamery. Our plan had some gaps that I was aware of and probably more than a few that I hadn’t yet discovered, not to mention it consisted of stacks of binders and no simple way to navigate the entire body of info. 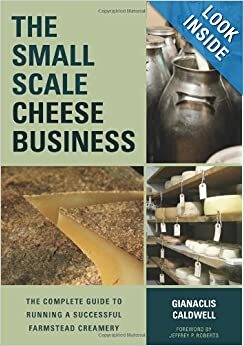 As members of the Oregon Cheese Guild, we have some exceptional resources for plan review thanks to Dr. Lisbeth Goddik at Oregon State University. We are on the list for a “mock 3rd party audit” during which our plan and our process would be scrutinized. We are also working with UL Everclean (a large company that does 3rd party audits), but were in the initial stages. I have taught a decent number of classes on developing basic food safety plans for small cheese producers. My emphasis in these classes is helping people understand the concepts so that developing and implementing the programs makes sense. Working with the FSPB will come most easily for those who have had at least one thorough class on food safety plans. Later in the article I include a link to a pdf of one of my classes on the subject. When I was a week or so into the program, however, it hit a glitch and wasn’t performing as advertised. Namely (in case you accidentally end up with the first version 1. 0 0 0 instead of 1.0_0_1) that once the Hazard Analysis tab is completed and you’ve moved to the subsequent tabs and then go back and make changes to the hazard analysis, then importing those changes to the subsequent process controls tabs failed. I used the link provided on the instruction page of the FDA’s link to contact them for help. They were quite quick to respond, but it was a bit of an insight when they got me on the phone and we spent about 25 minutes trying to trouble shoot the problem. There were two people helping, one an admin person and the other IT. The Admin guy seemed to really want to wrap it up and get home for the weekend and the IT guy, with a lovely Russian accent, wanted to figure it out. In fact, even though the admin fellow finally gave up and said they would get back to me the next week and had the IT guy hang up, the IT fellow kept at it on his own and then emailed me about an hour later with the fix. Hurray for IT! Bottom line, be sure you have version 1.0.0.1 – or even newer if they make further updates (which I hope they will as you will read in a bit). The first of these is helpful as it uses a product, pepper jack cheese, as a cheesemaker’s-real-world example. It helped me understand better what the FSPB was trying to do. 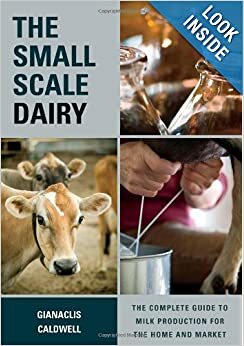 The second document, a publication out of Ireland, is the best I’ve ever seen on the topic of farmstead cheesemaking as it includes the milk production side of the equation. If you are already a farmstead cheesemaker, then you KNOW that without scrupulous process controls of things such as animal health and milking hygiene, then your cheese might not be safe. Here in the states, the FDA doesn’t want to include these areas, as they are not under their jurisdiction as inspectors. But YOU can take that into your own hands and include documentation of the farm-side practices in your plan. I used this booklet and its handy checklists to track our practices and then entered them into the FSPB software. I’ll go over some of the differences and what you’ll have to work around in the “Working with the Tabs” section. The program is arranged by helpful tabs that correlate with sections that you complete in order of their presentation. It starts out pretty simply and fortunately you can make changes to each section as many times as you need (quite a few times for me). There are some terminology and methodology differences in this program that I think are quite sensible and forward thinking. Namely the lack of the term “Critical Control Points”. It was always confusing to me to create a plan and then try to segregate out which steps were the most important and then write a separate document just for them. Instead this approach identifies every step along the way and the “process controls” that you use to reduce any risks associated with that step. When you click on each tab, you are presented first with a dialog box which is meant as an introduction. I recommend reading these the first time. Sometimes they are helpful, others they are redundant. You can select “do not show this again” if you get annoyed, but in my version, they reset and appear every time I reopen the program. Grrr. Once a tab is fully opened, the presentation gets a little clunky. On the left is a helpful outline of what is inside the folder. Usually this outline is created as you add information, but in some cases, it is partially or totally preexisting. In the center is the meat (or should I say, the “paste”) of the software, where you see what you are working on and add information. On the right is the section that is the most awkward. In fact, I stopped paying attention to it as it seemed redundant, then low and behold, it did contain useful information. In general it is quotes from pertinent sections of the Code of Federal Regulations and therefore, by nature, hard to understand. Often it is not pertinent to the small producer, at least in wording. I suggest always looking at the information, but don’t let it confuse you if it doesn’t make sense at this time! Where you are located, your FDA premises ID number, and who is on your safety team. Everyone must have a FDA premises ID. The safety team might just be you, or you and your partner. Information about what you make and how you make it. This part is fairly straightforward with the exception that they call the process steps a “flow diagram” and that it instructs you to “enter all of the steps from each flow diagram”. I guess they are assuming you have done an actual diagram on your own. I expected it to generate one for me after entering the steps, but it does not. Flow diagrams are very helpful, though, and if you want to create one on your own, both of the downloadable documents from ACS include examples. The first part of this tab is an acknowledgment of your review and acceptance of the Good Manufacturing Practices as defined by our government. If you haven’t ever actually read the GMP’s, it’s a good idea to do so. The second part, “Other Prerequisite Programs” is for documents you have created elsewhere such as SSOP’s and SOP’s – instructions for cleaning, sanitizing, and performing tasks. The FSPB does NOT help you create these documents! My “No Hassle HACCP Power Point ( pdf version, might help you. This part of a food safety plan is very important and also very time consuming. But just get it started and keep adding as you have time. A plan in progress is better than no plan! This is probably one of the most helpful sections, but since it comes early, it is also a bit confusing, at least to me. To help me understand this step, I relied heavily on the corresponding portions of the Pepper Jack cheese food safety plan (that I mentioned earlier). Even then, I had to go back and make changes and corrections as I went through the subsequent tabs. You have to do this section before you proceed, though. Once complete, the software will generate a nice table that should make any regulator beam (only on the inside, of course). The table (as viewed in the Food Safety Plan tab) would really benefit from some pertinent headings for the 6th-9th columns. When the previous section is complete you can work on the next four tabs, the preventative controls, in any order you like. In each you will import the Hazard Analysis once and then again if any changes to it have been made. If you have done a decent job identifying the risks at the proper step, then these sections are fairly straightforward. BUT, the questions/directives are a bit cumbersome and the tables generated are a tad silly in that they include the directives in the table. I really hope this is addressed by the creators rather than later as it results in a document that is much harder to understand than is necessary. Compare it to the pepper Jack cheese process preventative controls and you’ll see what I mean. For most cheesemakers, this step won’t be too complex as we are usually working with only one allergen, milk. This is addressed by ensuring that the product includes a label that lists milk. You don’t have to worry about cross contaminating a non-milk product produced in the same plant. If you use any ingredients that are allergens, though, cross contamination must be addressed. Okay! That would have been nice to see first. So here is where your hard worked SSOP’s can be cited. The “Supporting Documents” tab, you can add documents to it at any time, allows you to attach all of your SSOP’s and SOP’s (or whatever you call the detailed descriptions and step by step instructions of how you do each task such as cleaning, washing, and operating equipment). Unfortunately these docs won’t appear when you click on the “Food Safety Plan” tab, but they will be accessible to any regulator or insurance person reviewing your plan. I suggest printing them all out and putting them in the pertinent sections of the plan generated by the FSPB. I also found this tab confusing. But it boils down to one question. “Do you use any ingredients that include a potential hazard and your process does NOT include a kill step?” For example, if you herbs to your cheese and don’t boil, Pasteurize, irradiate, or otherwise treat them first, then you will need to fully address this section. Our existing recall plan was already one of the strongest parts of the plan. I know too many people who have gone through a recall and of those, the only ones that survived it had a solid plan in place. If you don’t have a solid recall plan in place, step up its priority! In fact, I’d almost recommend doing it FIRST, it helps light a bit of a fear-fire under you which is great motivation for completing the rest of the plan! When you complete the “external notification” section aka “recall press releases”, don’t just copy and paste the suggested talking points from www.fda.gov/Safety/Recalls/IndustryGuidance/ instead, copy, paste them and fill in as much as possible ahead of time. If you ever have a serious recall, you will likely find that you aren’t thinking clearly and will be very glad that these important documents are almost ready to go. I chose to import our current plan into the Supporting Documents tab and then reference it in the comment section of the Recall Plan tab. When I print out the entire food safety plan, I’ll print out and insert our recall plan and place it in the binder. Having just done the initial work in this software, this step isn’t pertinent to me yet. In addition it states that such work “must be done by a preventative controls qualified individual (PCQI)” Our company is too small to require such training at this time. But read the info in this section anyway, it will help you understand the expectations of others. The Food Safety Plan tab creates a printable document of all of the information you have filled in and organizes it into sections that should make an audit or FDA inspection much easier, at least from the navigation standpoint. It will also make updating and refining your plan very easy. I’ll cover more about the awkwardness of some of the information generated in this tab in the next section. This is totally self-explanatory and easy to complete. This is a checklist of topics that you will complete when your plan is done. The first section is self-explanatory, but the part 2, with just one question, confused me. It states “The facility maintains records of the basis for NOT establishing a preventative control, if applicable”. After reading the section of the code that applies, CFR 117.136, I can’t foresee an instance when any small to mid-scale cheesemaker would click “Yes” in response to this statement. An example of a time when “yes” would be appropriate, would be when a cheesemaker sells tainted product to a secondary processor who will reprocess it and makes it safe. But most of us won’t be doing that. Step 4 is a follow up to this query. This tab is easy to navigate. I appreciated that it included the FDA contact links that can be a pain to track down. I already had some of them in the recall plan, but these were nice to find here. We use a wonderful inventory management software called Fishbowl Inventory which integrates with Quickbooks – creating every tracking document we could ever need as well as allowing me to update company contact information in one report. So I didn’t include company contact information here, instead I referenced this software as well as will print out a report of contacts for the FSP binder. This is where you will create links to documents on your computer or online that round out your plan. All SSOP’s, existing recall plans, floor plans of hygienic zones, and research articles that support a practice (for example wood shelving maintenance and safety). There should be a lot of documents in this section. I suggest naming them in a way that makes them easy to navigate in case of inspection or audit, such as beginning all research articles that pertain to a process control with that word or acronym. Such as a preventative control related document: PC_Dry_Ingredient_Kill_Step. Something along those lines! The problem with the way this tab functions is multi-faceted. First, you can only add one file at a time – not highlight and move an entire set of files. Second, once imported, the folder that is automatically created was hard to find on my hard drive. (The instructions as to where to find this folder are vague, at least to a non-tech-savvy person such as myself). Third, you cannot drag and drop files into the folder created directly from Windows File Manger – you can copy them to the folder, but then they don’t appear in the FSPB program. And finally, if you want to make changes to these documents, you’ll have to work directly in this new folder, not where you originally created or kept these documents, so be sure to either rename them or otherwise tag the old versions so that you don’t mix them up. I love that the FDA has created this software! I think it can definitely be improved, but you have to start somewhere. The most unhelpful tab currently, in my opinion, is the Sanitation Preventative Controls. I would appreciate seeing templates for SSOP’s, hygienic zoning, environmental monitoring, and the like integrated into this section. I think this is the area that most cheesemakers would really love help understanding and creating. It would also be great to see the table for process preventative controls (created in the Food Safety Plan tab) more closely resemble the example in the Pepper Jack Cheese document created by the Center for Dairy Research. Bottom line, this program should help most of us fill in some gaps in our existing plans, create a sound new plan, understand what the regulators are focused on, and come up to the expectations of the FSMA. Give the FSPB a try.